With so many taco joints, BBQ haunts, and beer bars, it's not easy to be a runner in San Antonio. But for those of us who torture our bodies with long runs in the summer heat, the city is not lacking in the running trail department. Lace up those gel-cushioned, neon-green Reeboks and get to work -- the runner's high is always worth it. 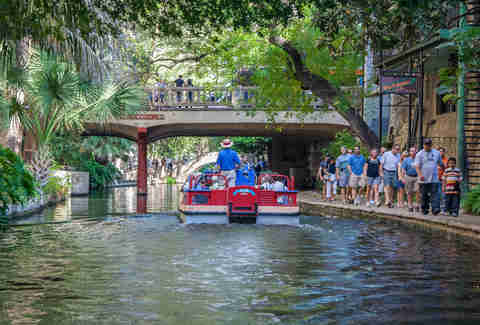 Get an early start to avoid large gaggles of annoying tourists (8am at the latest), start near Tito's in King William, run Downtown past the Alamo, and jump on the River Walk near the Pearl. Stop for a margarita at La Gloria for fuel if you need it, run back down the River Walk towards Downtown, and hop off once you get in King William. If you start early enough, your run will be beautiful. It's impossible to ignore the most well-known running parks in the city -- with wide spaces, panoramic views of morning sunsets, and plenty of deer, McAllister Park deserves a spot on every serious runner's list in SA. With so many trees, McAllister is suited well to summer runs -- but keep in mind, the park is huge and easy to get lost in. First-timers should visit with an experienced runner on their initial go-round. If you're interested in Texas history, you're interested in Comanche history, and this spot is crucial to the storied Native American nation's past. 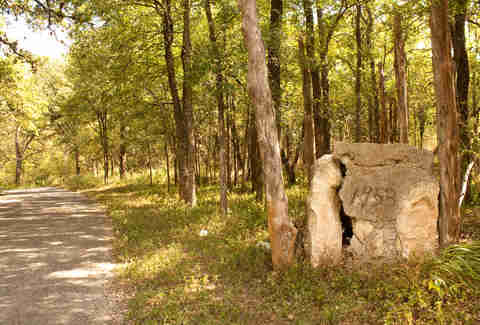 Comanches used the land as a vantage point for warfare and hunting, and it was later acquired by the second president of the Republic of Texas, Mirabeau Lamar, who passed it on to his daughter. This history makes runs at Comanche Lookout Park that much better. 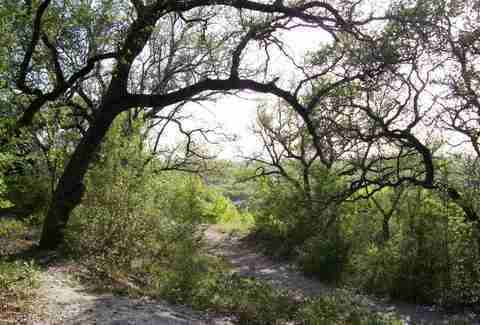 As your ascending the hill, passing native plants like huisache, Lindheimer's hackberry, and chinaberry, think about the Texans who walked there before you. 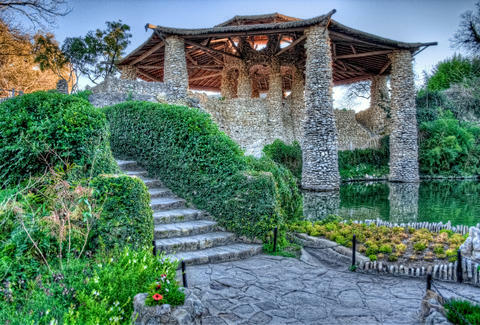 If you can avoid the partying barbecuers, quinceañera-celebrators, and skateboarders, a run through Brackenridge Park can be one of the most enjoyable in SA. As with the River Walk, it's advisable to start early at Brackenridge -- a 6am start is ideal. 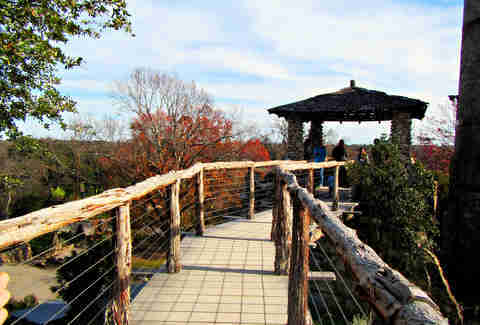 Jog near the water for a cool breeze, and stop for water at some of the park's many fountains. 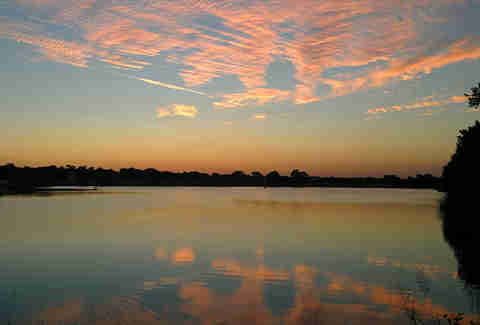 Possibly the prettiest run in SA, Woodlawn Lake Park is ideal for a quick morning or evening workout. The 1-mile loop by the lake is perfect for a quickie or a long session with a nice view. Adequately marked with distance markers, plenty of benches for rests/stretches, and outdoor fitness sessions, the park makes it easy for runners. Avoid the geese though, guys. They're (kinda) cute from far away, but are aggressive, and will chase you for a surprisingly long time. One of the best spots for beginner runners, Olmos Basin Park has ample paved tracks and off-road opportunities. Huge Oak trees provide ample shade from the punishing sun, and plenty of soccer and baseball fields mean you're sure to catch a competitive intramural game if you're inclined to stop. 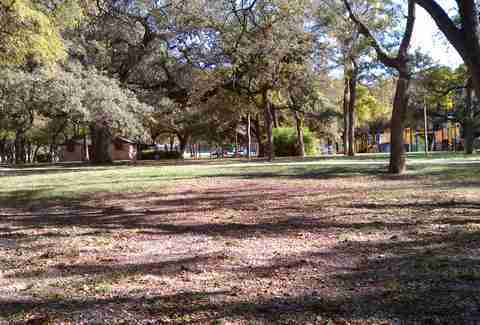 The park is always busy, and typically has a police presence -- so if safety is a concern, Olmos Basin is a great option. With 14 miles of trails, Leon Creek Greenway is usually filled with serious runners and cyclists, but with plenty of opportunities to stop and catch a glimpse of water, vegetation, and expansive grassland, the park is also attractive to novice runners and avid hikers. If you're a new runner, don't be discouraged from visiting, just heed this advice: don't run before or after sunset unless you have a head lamp. Cyclists speed through turns in the trails, and it's nearly impossible to see them without some daylight. 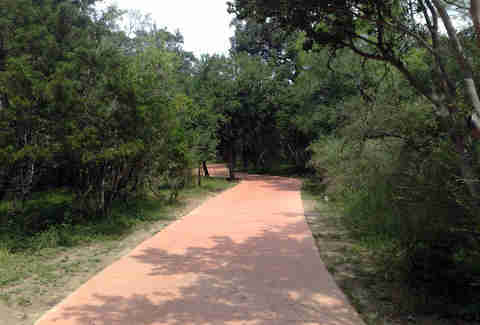 A variety of terrain makes Phil Hardberger Park a favorite amongst runners in SA. From concrete to asphalt to crushed granite, the park has you covered. Notoriously well-maintained, Hardberger has plenty of exercise stations, water fountains, and dog poop bags for man's best friend. Parking is limited, so try to arrive early (notice a trend?) to claim your spot.